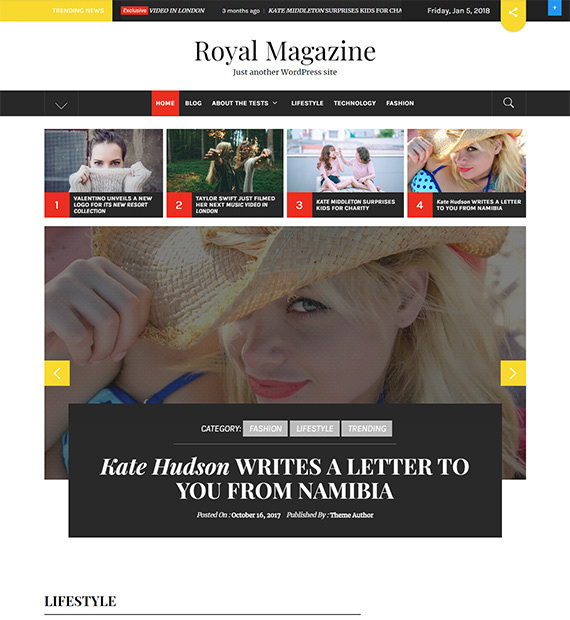 With the responsive free news and magazine based WordPress theme Royal Magazine take your website to the next level. Best suited for news, magazine, fashion, travel, food, or any type of sites that you wish, this theme is feature-packed as well as pleasant to look at. Engineered for the best of experience with WordPress platform, you get easily customizable elements as well as WooCommerce integrated. The theme’s layout design is also fully responsive making sure that your site always looks stunning!